Celebrate Draw A Dinosaur Day with Now Resorts & Spas For Your Chance to Win! Did you know? It’s National Draw a Dinosaur Day! At Now® Resorts & Spas, we want to put your drawing skills to the test for a chance to win a FREE family vacation! Grab your crayons and the best artist in your family, because this is a contest you’re going to want to win! Happy National Draw a Dinosaur Day from Now Resorts & Spas! Building Sandcastles-This can even be fun for the adults! Try having a contest to see who can build the tallest tower, best castle or biggest moat. 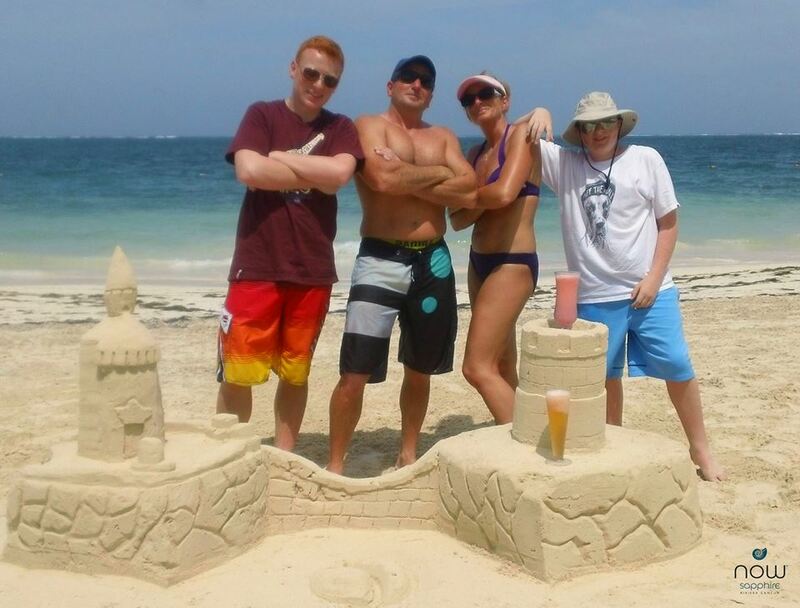 The Van Matre family proudly poses with their beautiful castle crafted out of gorgeous white sand. 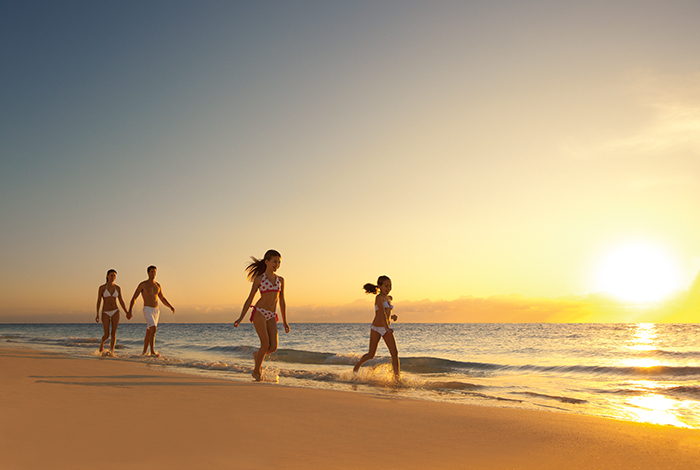 Shell Collecting-Take a walk with your child on the beach as you both search for hidden gems in the sand. 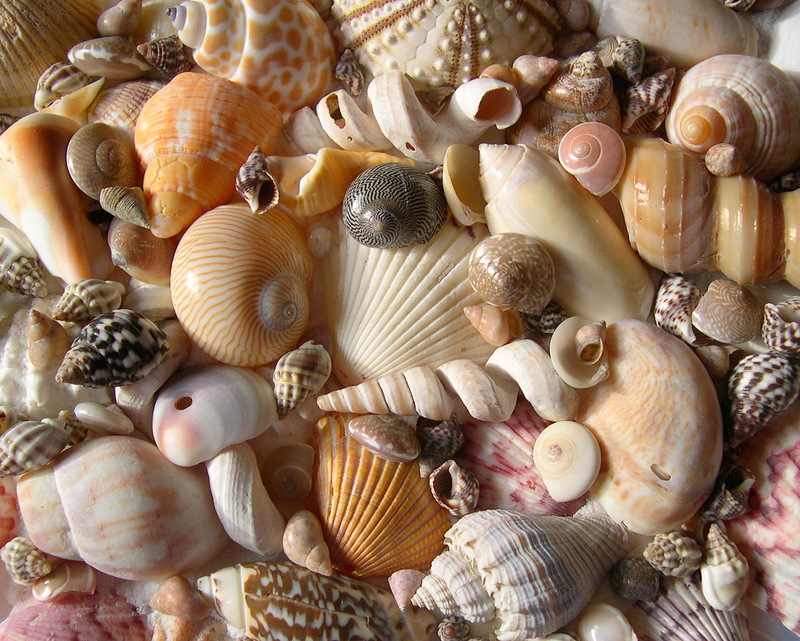 After collecting the shells, encourage your child to use them in a creative way—on a sandcastle, on a work of art or in a piece of jewelry. 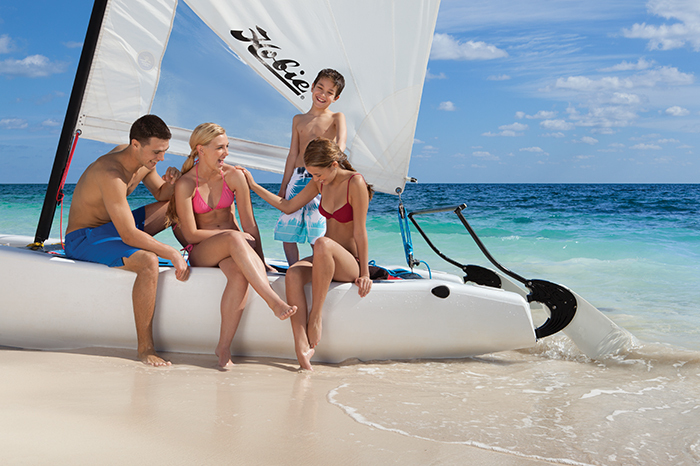 Water Trampoline- Many of our resorts feature a gigantic water trampoline just offshore! Your children will love to swim out there and jump around for a bit. Sharks and Minnows-This childhood game is a variation on the classic game of tag. Played in water or on land, the game begins with one person who is chosen as the shark. The shark runs around and tries to tag the other players, who function as the minnows. Once the shark tags a minnow, that person becomes immobile and must help the shark to tag the remaining minnows from an anchored position. The last remaining minnow wins the game. 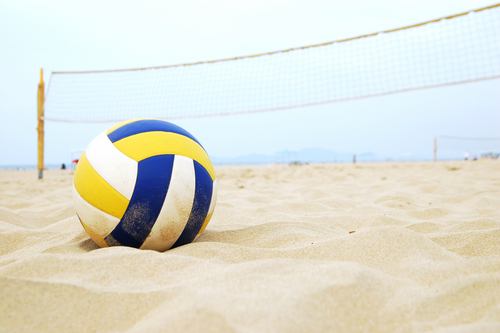 Beach Volleyball-Beach volleyball is typically an activity reserved for adults, but that doesn’t mean your family cannot enjoy it! Try finding a smaller net—a badminton one, for example—and start up a game with your kids. Feel free to improvise and make up custom rules that suit your family. 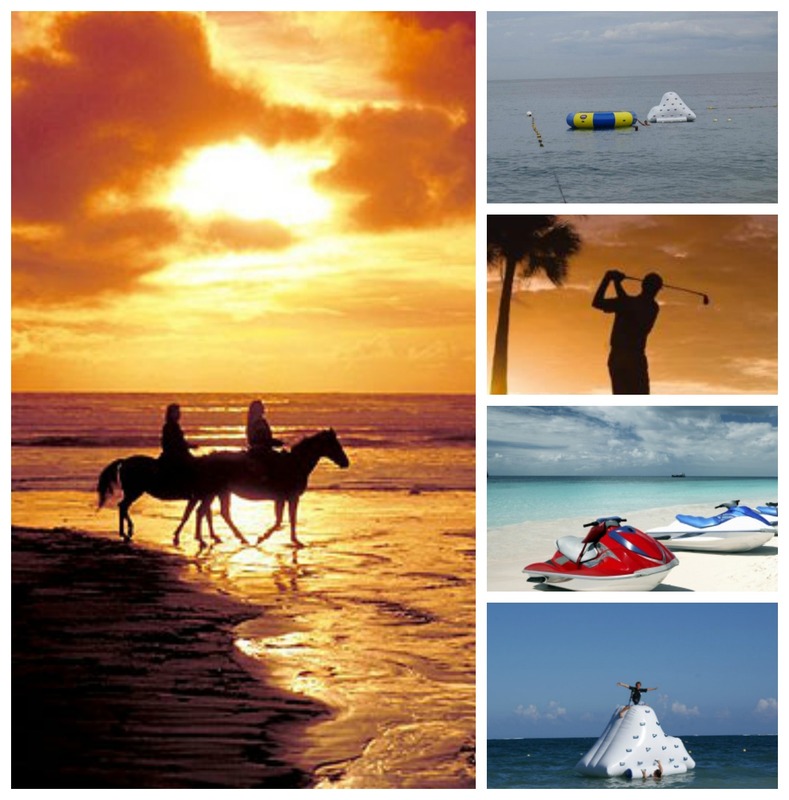 What are some of your favorite activities when you hit the beach? Share with us in our comment section below. 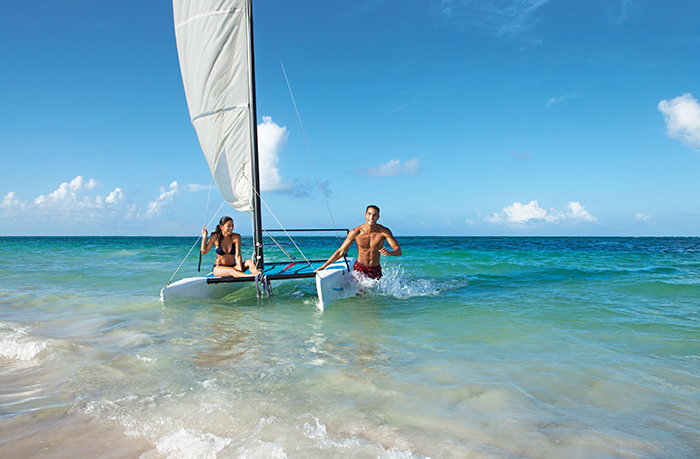 Guests at Now Resorts & Spas have access to some of the most pristine and powdery white sand beaches in the world. During their stay, families love to flex their creativity chops and put their sand castle-making skills to the test. The Van Matre family took this to heart, and we must say–the results certainly do not disappoint! Here are just two examples of magnificent sand creations the family completed during their stay at Now Sapphire Riviera Cancun. Standing much taller than their first creation, the family’s second sand castle is a veritable feat of creative—and architectural–genius. Water Trampoline – Most people have jumped on mini-trampolines, whether in gym class at school or at an aerobics class at the gym, but have you ever tried a water trampoline? 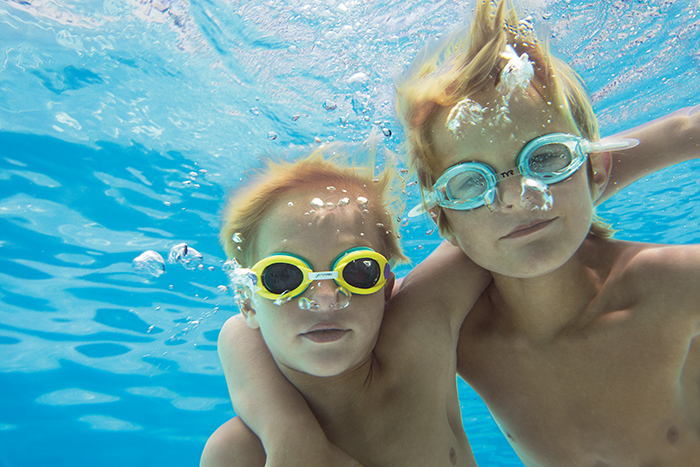 Water trampolines are outrageously fun and especially thrilling – the feeling of bouncing over water is quite a rush! Our trampoline is one of our guests’ favorite activities and it gives hours of enjoyment to children and adults alike! Inflatable Scalable Iceberg – Another great water activity is our scalable iceberg! Luckily, our iceberg isn’t cold at all – just really fun to climb. And, if you slip or let go, you just go splashing into the water! No harnesses are necessary. We like to have climbing races to see who can climb the fastest or splash the biggest! Golfing – Try all three nearby ranges during your visit to experience all of the breathtaking views of Puerto Vallarta. From views of the Marina and dense forests of Palm and Fiscus trees natural lagoons and swift creeks, these world-class 18-hole courses have some of the most unforgettable golfing in the Caribbean. Remember to book golf days in advance with your concierge! Horseback Riding – Whether you are an experienced equestrian or brand-new to horseback riding, riding at Now Amber is a favorite activity for the whole family. Arrange a horseback riding outing during your stay to enjoy a fun ride along a beach and feel the breeze in your hair as you take in the gorgeous landscapes. Jet Skiing – For the adventure-lovers visiting Now Amber, jet skiing is one of our most exhilarating activities.Rent a jet ski during your stay to zip around the ocean at top speed for a fast a fun way to experience Puerto Vallarta’s picturesque ocean. *Additional costs may apply for excursions and activities.